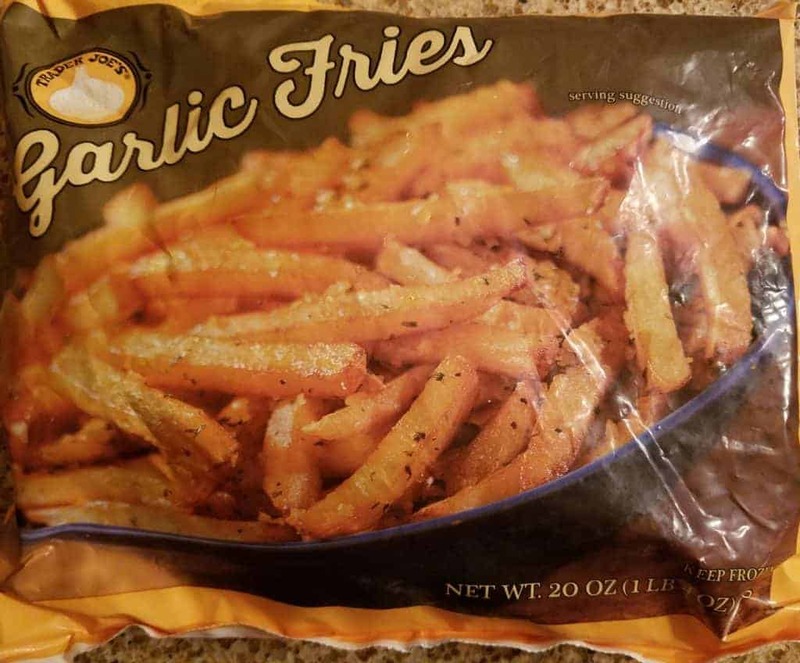 The pros: Trader Joe’s Garlic Fries are tasty with a delicious sauce that may require some caution when using. 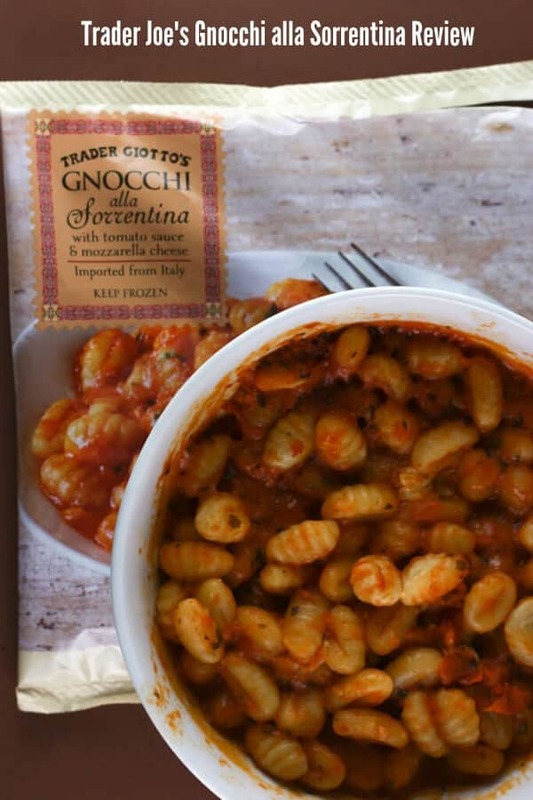 The cons: Should be portioned out better. 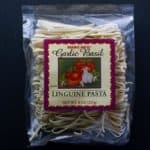 I was hoping to only make half of this product, but there is only one garlic pack which is not resealable. 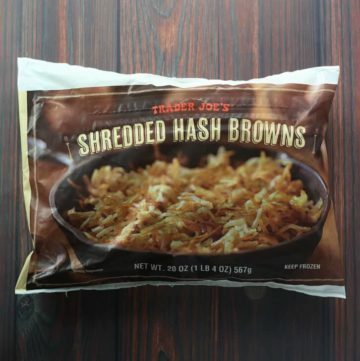 The pros: Trader Joe’s Shredded Hash Browns are essentially frozen shredded potatoes on demand. 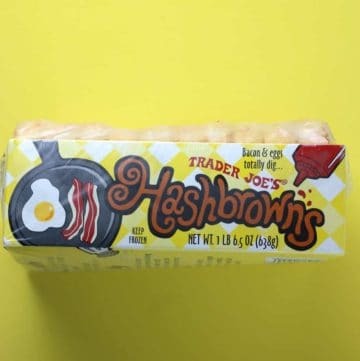 The cons: If time is an issue you are better off going with Trader Joe’s Hash browns that are pre-made and only slightly more expensive. Plus odds are you’ll get more for your money with having to do less dishes. 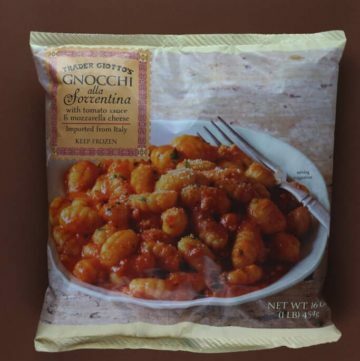 The pros: Really tasty chip where the flavor will hit you at different points. 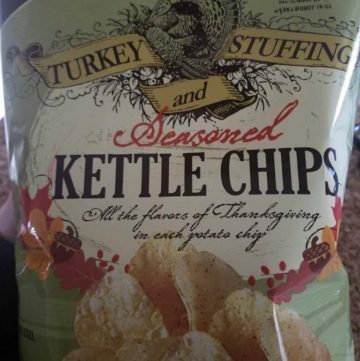 Yes, Trader Joe’s Turkey Stuffing and Seasoned Kettle Chips will remind you of a really paper-thin crunchy stuffing. 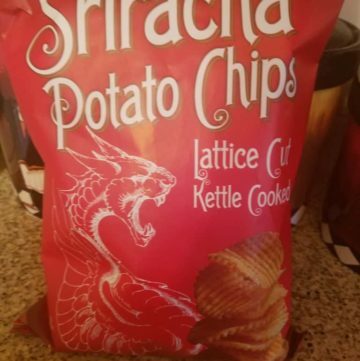 Which on a potato chip is very tasty. Stuffing if the most pronounced flavor here. The cons: Visually they will remind you of sour cream and onion so if you don’t warn people it would be quite amusing to see their face react. 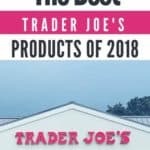 The pros: While mashed potatoes are an easy dish to make, Trader Joe’s Garlic and Butter Mashed Potatoes is a real time saver without sacrificing too much in terms of taste. 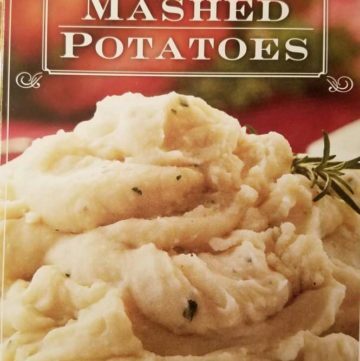 The cons: If you like lumpy mashed potatoes this won’t be your thing. 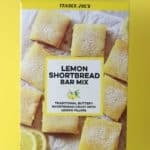 These are very smooth. 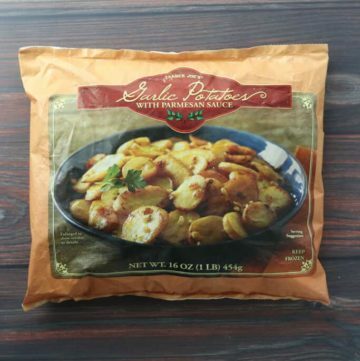 The pros: Super cheesy scalloped potatoes ready in 20 minutes from the oven. 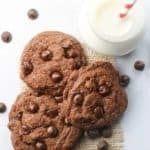 No runny milk at the bottom of the dish. 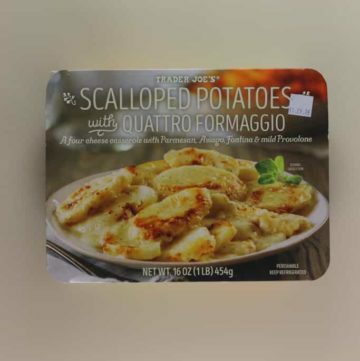 Trader Joe’s Scalloped Potatoes with Quattro Formaggio was nothing but cheesy goodness with nice even pieces of potatoes. 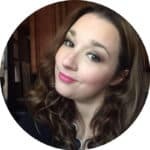 The cons: None that I could think of. 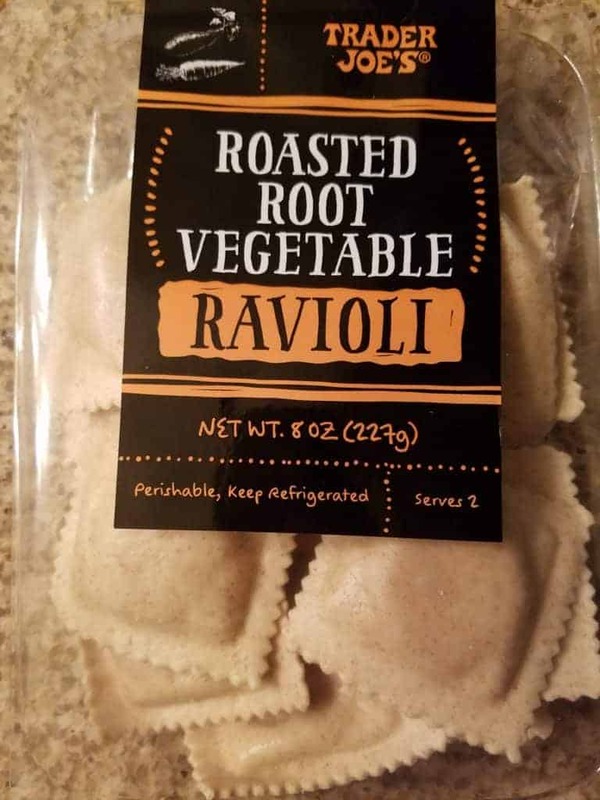 The pros: Trader Joe’s Roasted Root Vegetable Ravioli are very tasty but a non traditional flavor of ravioli. 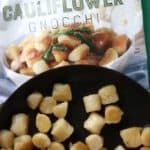 They look like ravioli but the taste will remind you of a under filled pierogi that is seasoned better. 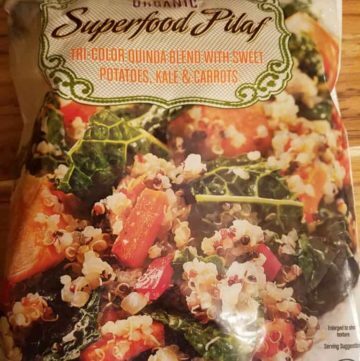 The spice to the root veggies was tasty. The cons: This box is supposed to serve 2. 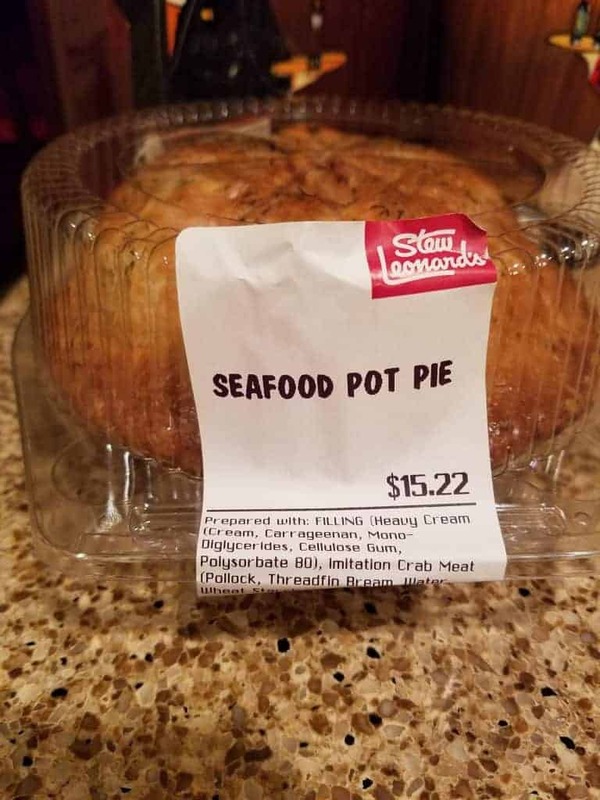 I think most hungry people could polish off this package.